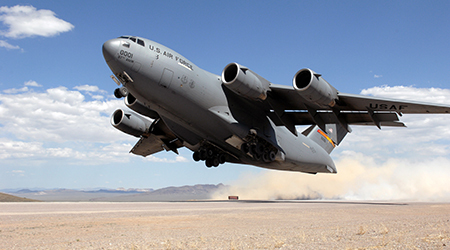 Operating worldwide today, Global Xpress complements government satellite communications (SATCOM) and provides optimal redundancy, diversity, security, scalability and global portability — the ultimate resilience approach. 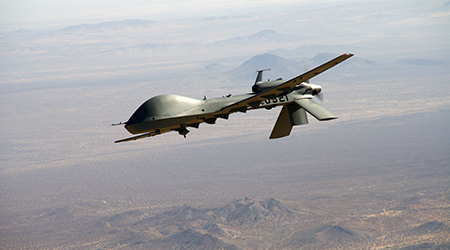 U.S. government users operate on a worldwide basis and require flexible, secure connectivity that travels with them. This is why they continue to rely on Inmarsat Government and its global, trusted network. Global Xpress is the first and only commercial wideband network that delivers worldwide service, offered by a single operator. 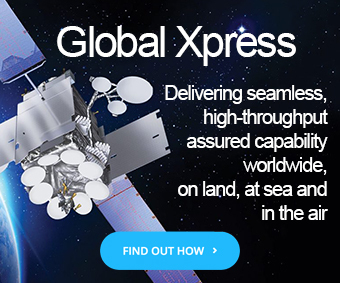 Available and in use by government users in all three-ocean regions, Global Xpress brings the benefits of highly reliable, high-throughput satellite capability to respond to mobile, interoperable communication needs. 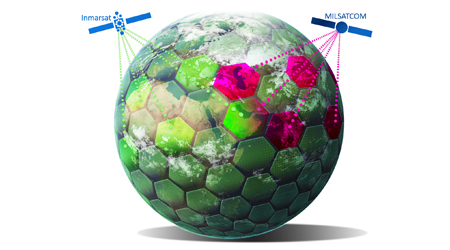 To meet global coverage requirements, the Global Xpress Inmarsat-5 satellites were designed with 89 nested spot beams that cover almost all of the visible earth in a honeycomb configuration. As users move across the globe, Global Xpress delivers a continuous, consistent service anywhere in the world – on land, at sea and in the air, as traffic flows seamlessly across each spot beam. The Global Xpress network takes advantage of a uniform worldwide seamless spot beam architecture for maximum mobility. 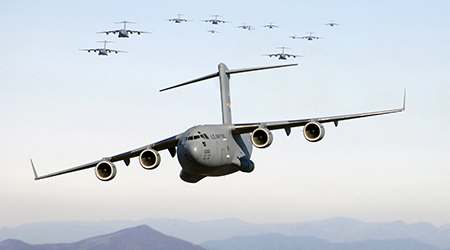 When there are demand surges, Global Xpress directs its steerable beams for additional capacity. And when Global Xpress is complemented by Inmarsat L-band services in a hybrid format, users benefit from even greater resilience and frequency diversity. Inmarsat sets the gold standard for safety services, and quality of service is fundamental to our business. We offer the only commercial network from a single operator that combines the best mobility technologies in Ka-band and L-band, and underpins them with a global, fully redundant ground infrastructure. Resilience and redundancy aspects are embedded within the design of every Inmarsat satellite with full flexibility to manage and reallocate beams for optimization of global and mobile network coverage. Each satellite is supported by fully redundant Satellite Access Stations (SAS) interconnected through a resilient global ground network and connected to robust Points of Presence, as well as customer-designated, secure “meet-me” points. The end-to-end Inmarsat architecture is designed to meet safety-of-life and mission-assurance needs, delivering the highest network availability demanded by government users. We build and manage the global network infrastructure for you. Inmarsat-owned and managed redundant systems – satellites, ground infrastructure – as well as type-approved terminals are always evolving. Without any capital investment on their part, users benefit from always-on access to rapid, reliable, worldwide satellite connectivity and managed services. Users benefit from BGAN-style ease of operation – now available in wideband VSAT – enabling high-throughput applications, such as high-speed internet, live full-motion video and video teleconferencing. And they subscribe to access to always-on services available globally, a true global roaming service with assured quality. Global Xpress provides reliable assured access that is built to meet cybersecurity best practices with support from a dedicated cybersecurity team. Global Xpress commercial services and infrastructure are designed to meet the National Institute of Standards and Technology (NIST) 800-53 Low Impact category controls. 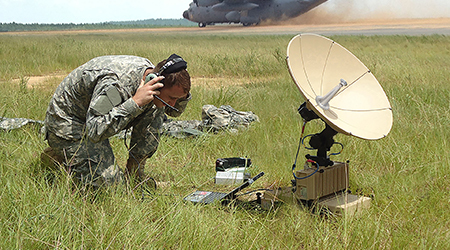 Military authorized users have the option to field specific technology and equipment in Global Xpress secure enclaves built at Inmarsat’s Satellite Access Station (SAS) locations placed in NATO and Five Eyes nations. The Global Xpress secure enclaves and network are able to meet the National Institute of Standards and Technology (NIST) 800-53 High Impact category controls. Inmarsat owns and operates its global mobile networks available throughout the world, including robust space, ground and terminal segments. Customers acquire the services quickly and cost-effectively, and the quality of service is assured.